Tyler Gillen is a gifted filmmaker. 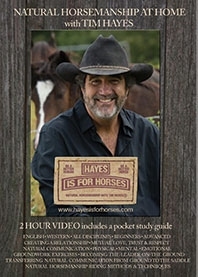 Whether it’s a 5~Minute Promotional Video (1) or a 2~Hour Instructional DVD (2)… he nails it. He’s done both for me. Equally important along with Tyler’s creative and technical abilities is his personality. He is an absolute pleasure to work with. Smart, creative, easygoing and highly collaborative. If you want a terrific filmmaker who can create, shoot, edit and give you a professional high quality product…you want Tyler Gillen. Working with Tyler is like being plugged into the Flow state. He listens to what you have in mind, integrates it and then seems to just merge with the project, as if he were filming it from the inside out. The end result is that he captures multiple moments of grace and amazing synchronicities, and you wonder how it was possible that he was in the right place at the right time for so many powerful shots. He puts his heart and soul into his work, regardless of the project size, inspiring great trust on my part so I can easily allow him free rein to work his magic. I appreciate his openness to different perspectives and re-working, as well as his honesty around when a suggestion will work and when it won’t. He clearly knows and is confident in his craft, instilling the same in me. If you have a project that you are passionate about getting out into the world, it is with great delight that I recommend Tyler.